This topic contains 3 replies, has 2 voices, and was last updated by Kurt 3 years, 7 months ago. My building is a stucco 2 flat built in 1915 with a small addition built in 2000.The roof shingles on the addition are weathered,cupped and loose.The shingles were fine when I purchased the home 2 years ago.I first noticed the shingle damage after the last 2 harsh winters.I know icey snow will slide off the upper story and crash onto the lower roof. 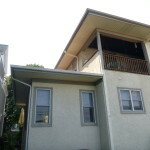 I am what exactly is causing the damage and if there may be better roof covering for this condition. Thank you. That’s kind of a strange one. My initial knee jerk is that the shingles are a cheap variety, possibly with manufacturing defects. The picture of you lifting the shingles sure look thin and insubstantial. There are substantial differences in shingle quality, so I’d start there. Orientation to the sun matters a lot. Is this a south facing roof plane? I suppose impact from the snow sliding off the upper roof could be a contributing factor, but those shingles don’t look like they’ve had impact damage; they look like cheap crappy shingles. 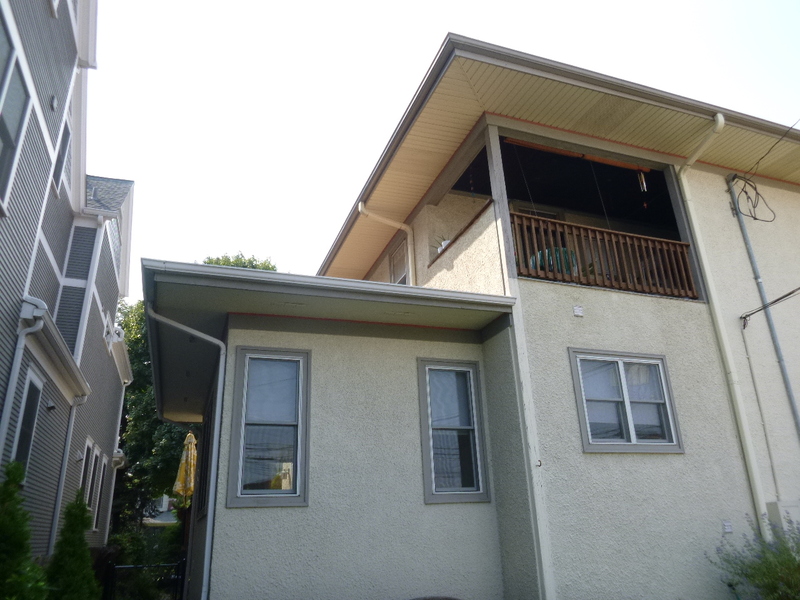 Regardless, you need to strip off the failed roofing and install new materials. Lay down a 30# felt underlayment, ice and water shield at the eaves, drip edge around the perimeter, then install an entirely new roof cover. GAF, Certaineed, Johns Manville….all make good shingles, and their materials are among the most trustworthy. Asphalt shingles are remarkably resilient and long lasting if you use good quality materials and install then satisfactorily. I have to attribute the current failure to lousy materials installed badly, which is always a formula for failure. This reply was modified 3 years, 7 months ago by Kurt. The shingles that face south are more damaged. 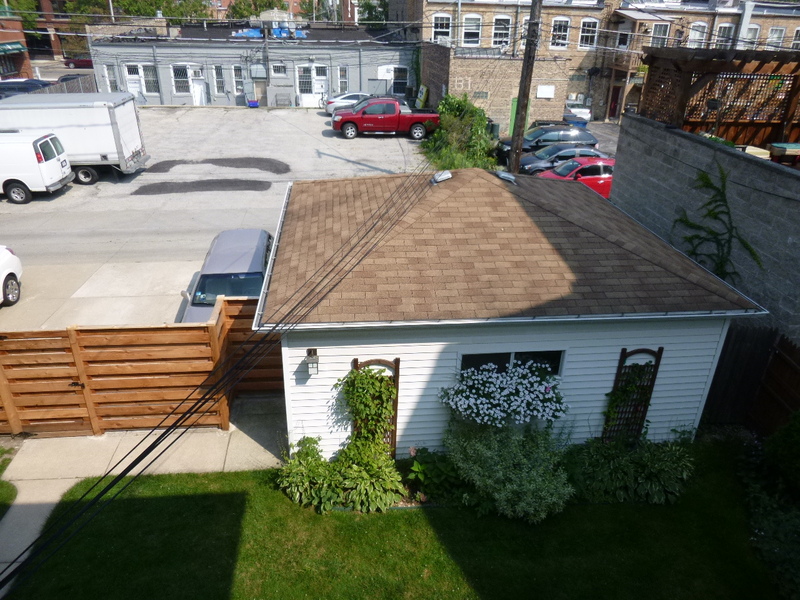 I attached a pic of the garage which looks like it has the same shingles but is not as exposed to the south.There is no access to the attic space under this roof. 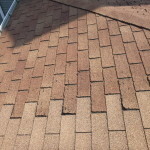 Would inadequate venting effect the shingles ? Thank you. The southern exposure will certainly burn shingles out quicker than other exposures, but the deterioration you’re showing is extreme. 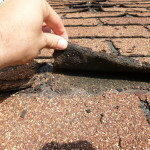 While not publicized, there are manufacturing defects that occasionally occur, resulting in shingles that deteriorate in an accelerated manner. While I can’t know for sure, the extreme difference in wear between shingles that are so close together on the roof makes me think there’s more going on than simple southern exposure/UV deterioration. Venting. 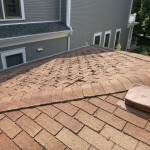 Much is made by manufacturers about ventilation on shingle lifespan. The single factor effecting shingle lifespan, more than any other factor, is color. 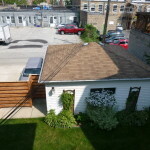 Black and dark shingles don’t last as long as lighter colors, with the purported difference being dark shingles get a lot hotter than white shingles. Ventilation does little to effect roof temperature. The idea that some vents will reduce the solar load on a shingle roof is silly. At most, ventilation will reduce temperatures a few degrees. Ventilating roofs is different for different climates. In cold climates, it’s about keeping the roof deck cold to reduce ice dams at the eaves and minimizing condensation in the attic. In hot climates, it’s about getting the very hot air out of the attic to reduce cooling loads and minimize strain on AC systems. No where is there any engineering indicating attic ventilation is about extending the lifespan of shingles. 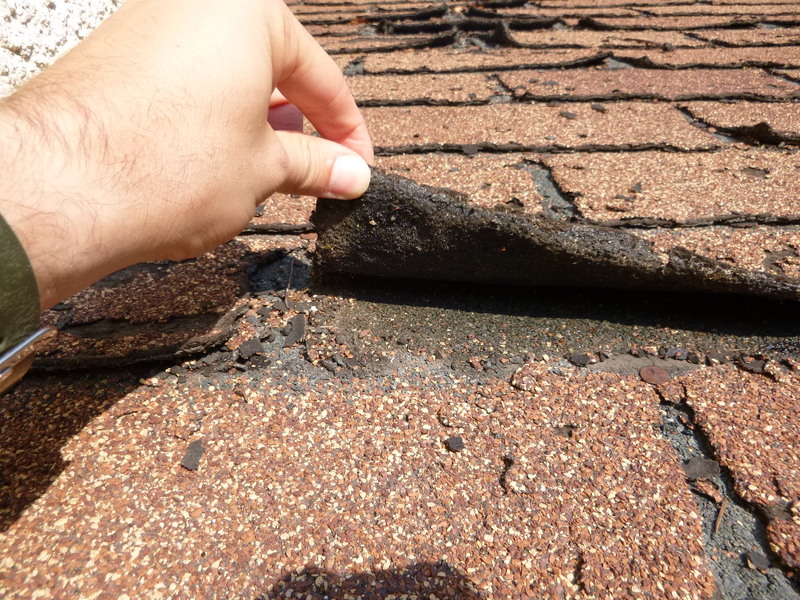 That said, the roofing industry has latched onto this as contributing factor in shingle lifespan and performance. 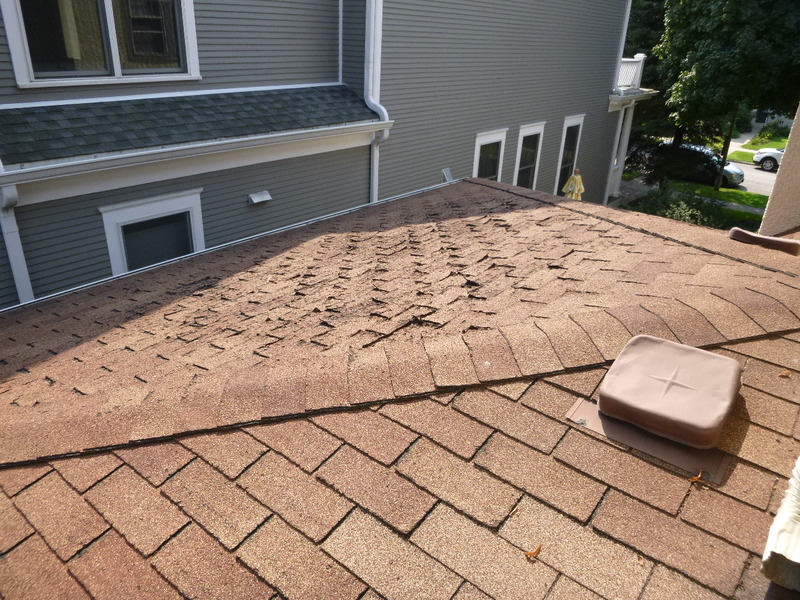 A simple bit of physics should tell anyone that a few square feet of ventilation space in an attic in no way reduces shingle temperatures more than a very few degrees. One wonders if the shingle manufacturers are latching on to this for self serving purpose or if they actually think that vents reduce shingle temperature. I don’t know, but I know someone that does. Go Here and download “A Crash Course in Roof Venting”. It explains all of this in very simple and clear language. So, I really think the damage on your particular house is a manufacturing defect or some similar inadequacy in material, not crashing snow loads or lack of ventilation. 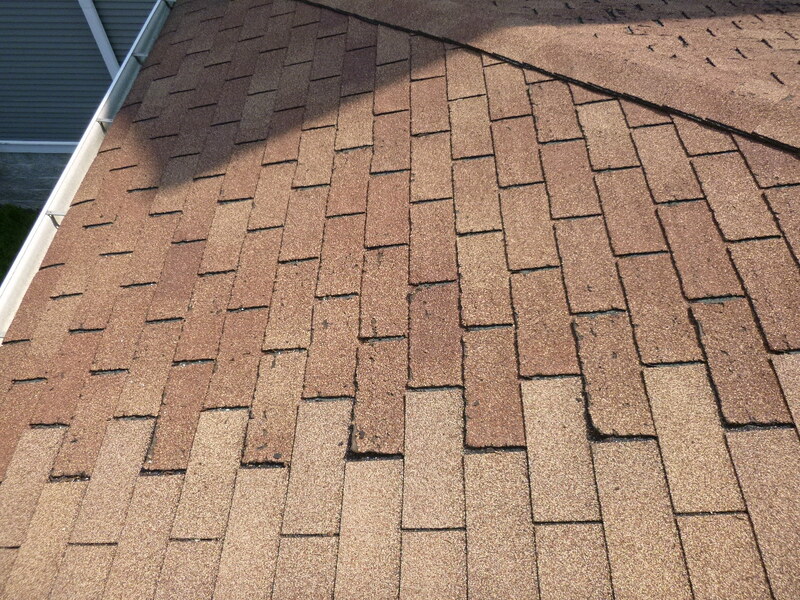 If ventilation was a major factor in shingle failures, we would be seeing shingles failing everywhere and all the time because hardly any roof system is ventilated to currently agreed upon standards.